During the past month, the children were earning points in order to be part of a fun event at the end of the month. They could earn points by doing their homework, helping clean in the game room, and just by behaving well. 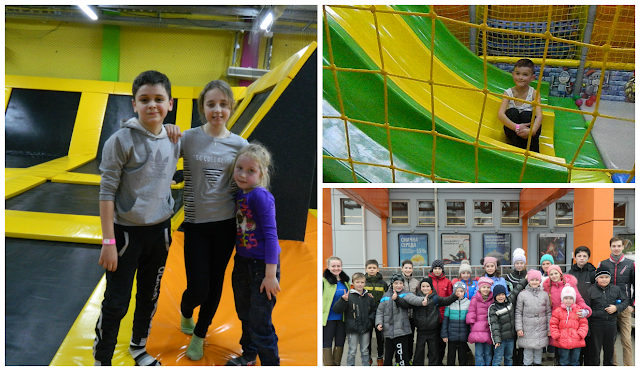 The children that have been working hard the whole month got a chance to go to the "Sky Park" - trampoline center. They were quite excited to go. We all had a great time and everyone was very tired at the end. We love working with these kids on a daily basis after school. Praise God for this opportunity!